The Comp 8 Air - if you didn't believe that playback of music from your smartphone or tablet would be sufficient for audiophile sound, we would like to show you the contrary! The holographic reproduction, fine dynamics and resolution of our fullrange driver, combined with the bass of the downfired sub will excite you for sure. And you will re-discover your music collestion in a completely new light! 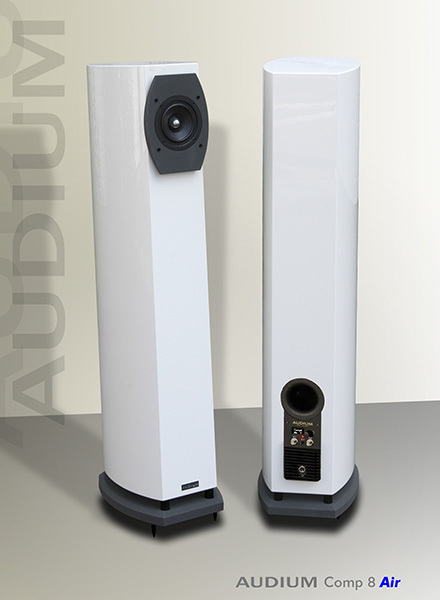 The Comp 8 Air from AUDIUM - ahead of the times!